Joseon Gunman delivers yet another stellar episode which provides further assurance that this drama indeed has the legs for the long haul. 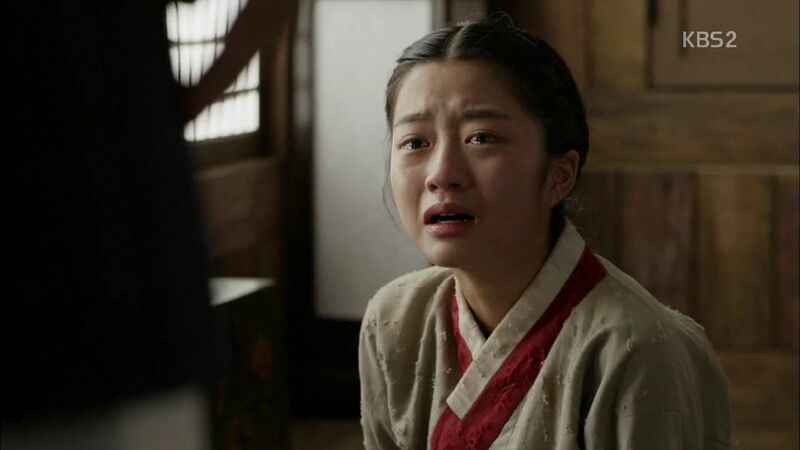 Yoon Kang finally comes face-to-face with his little sister Yeon Ha and the emotional pain of their mutual suffering really digs deep in this episode. I don’t just want Yoon Kang to save Yeon Ha because it’s his duty, I want him to rescue her because I can feel how much they love each other. This isn’t family as obligation but a pair of siblings that are wrecked by a tragedy beyond their control. The romance in JG is comfortably on the back burner because the other emotional threads are so strongly woven into the narrative. Hye Won has a crush on Yoon Kang that doesn’t seem to change her personality or spur her to do anything different other than quietly appreciate him. Ho Kyung’s devotion to Soo In is unwavering but also unseen and he doesn’t appear to push anything with her. Yoon Kang’s return as Hanjo has turned Soo In from a collector of baubles back to a woman who always has to figure things out. It’s pretty cool now her dabbling with explosives is both important in helping Yoon Kang later and important now in slowly revealing the tucked away curious person still within. Yoon Kang doesn’t have time in this episode for anything other than trying to save Yeon Ha from the clutches of a sleazy government minister. It’s gross but realistic that she would be in danger from the powerful lechers of the world, what is surprising is how Hye Won goes along with her dad’s plan to exchange Yeon Ha for an explosives expert. That’s when I totally lost my warm and fuzzies for her even if her character remains fascinating and a great contrast to impetuous Soo In. 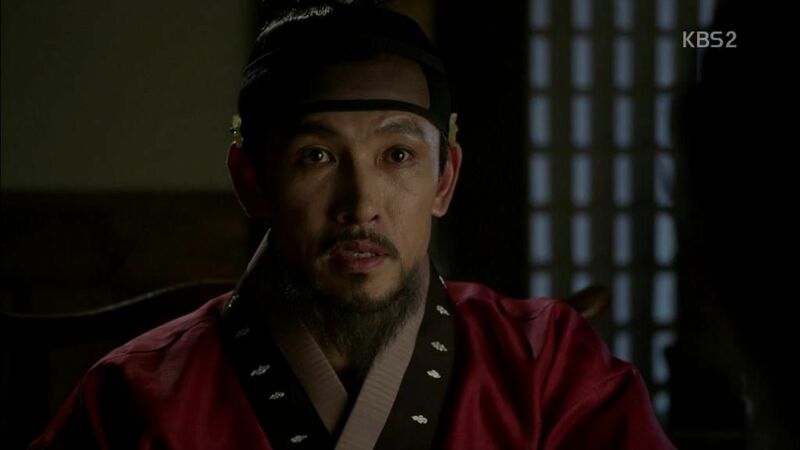 I can’t help but enjoy watching Merchant Choi because of how complex and intelligent he is as an antagonist. He scares me because Yoon Kang is forever in danger with him as an adversary, but it’s commendable that the drama took the time to flesh out his thought process and show us his warm caring side towards Hye Won. As a boss he also has never shown himself to be unnecessarily cruel or demeaning towards those beneath him. In many ways, he’s probably a man who fought his way from nothing to something and lost most of his moral code along the way. He might be a lesson for Yoon Kang to observe has he embarks deeper into his own revenge plans on what not to become one day in the pursuit of one’s own justifiable goals. Merchant Choi buys Yeon Ha as a slave to entrap Yoon Kang into confirming his identity. He invites Yoon Kang to a banquet at his residence and then coincidentally has Yeon Ha serve him tea. Yeon Ha naturally recognizes her orabeoni and runs to embrace him. She tearfully asks if he’s her orabeoni and Yoon Kang can see Merchant Choi peeking through the door so he immediately pushes her away. Yeon Ha is crushed at his rejection and cries that she’s Yeon Ha, not understanding why he doesn’t recognize her. Yoon Kang backs up so that he’s out of the view of the doorway and tries to shake his head at Yeon Ha but she doesn’t pick up on his hint. Yoon Kang slaps Yeon Ha and she falls on the ground and he says in Japanese about why there are so many crazy people in Joseon. 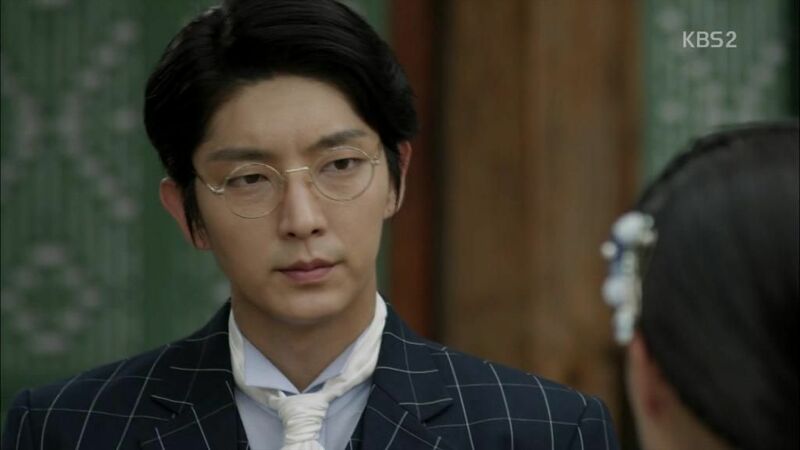 Yoon Kang storms out of the party and angrily tells Merchant Choi that he’s done with this party and the other businessmen guests can speak with Kanemaru. Merchant Choi smirks after Yoon Kang walks away while Hye Won takes note of Yoon Kang leaving the party. Merchant Choi speaks with a tearful Yeon Ha and asks if she’s sure that was her brother and Yeon Ha nods her head. 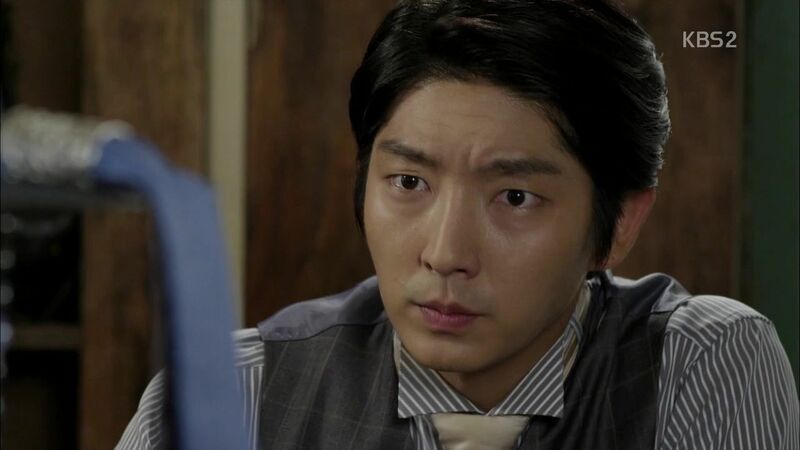 Yoon Kang controls himself until he’s back in his room and then falls apart, crying with anger towards himself for how orabeoni has failed Yeon Ha. Merchant Choi is impressed with how incredible Yoon Kang is now. If they really are siblings it’s hard to be that cruel. Either Merchant Choi is mistaken about his identity, or he’s come back a very dangerous person. 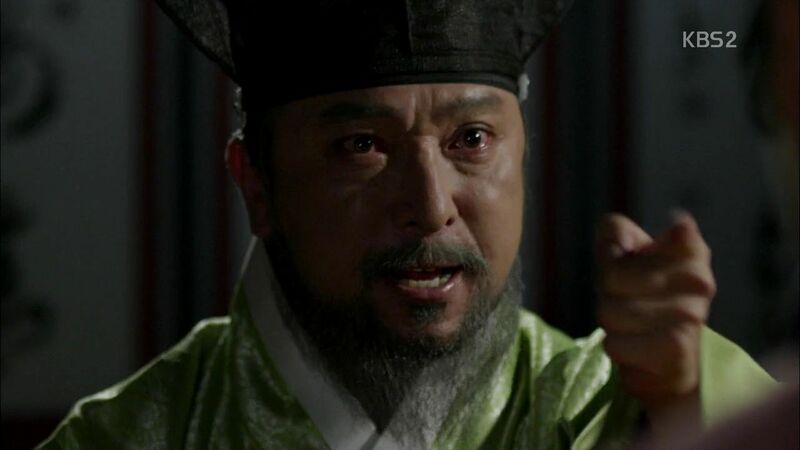 Yoon Kang is called out to handle Soo In’s attempted theft of gunpowder and he takes out his fury on Soo In by screaming that all ties are severed with Kyung Gi Merchant Group from now on. Merchant Choi walks the sleazy minister out and the man shots another leering smile at Yeon Ha. Hye Won dismisses all the serving girls but pulls Yeon Ha aside to talk. She hears that Yeon Ha mistook Hanjo for her orabeoni and Yeon Ha begs for another chance to stay here and not to send her away because of this. Hye Won assures her that she won’t be sent away for this and asks her name. She’s stunned to hear her name is Yeon Ha and her orabeoni’s name is Park Yoon Kang. Yoon Kang plans to save Yeon Ha tonight even though Sang Choo worries that acting so rashly would be dangerous. Yoon Kang doesn’t care if Merchant Choi is purposely setting a trap for him, he can’t leave Yeon Ha there. Leader Kim requests an attendance with King Gojong and starts off with pleasantries before Leader Kim reminisces about how the little boy who he first met is now the leader of a country. King Gojong knows Leader Kim is reminding him that he sits in this position because the court has allowed it and tells Leader Kim to get to the point about why he is here. Leader Kim wants progress to be steady and slow but King Gojong points out that Joseon doesn’t have time to afford this. 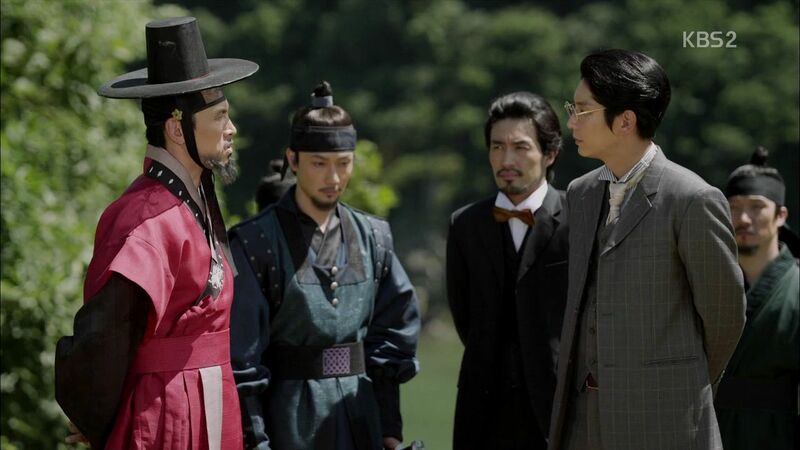 Leader Kim threatens King Gojong that the ship can overturn if one side of the oar refuses to row. 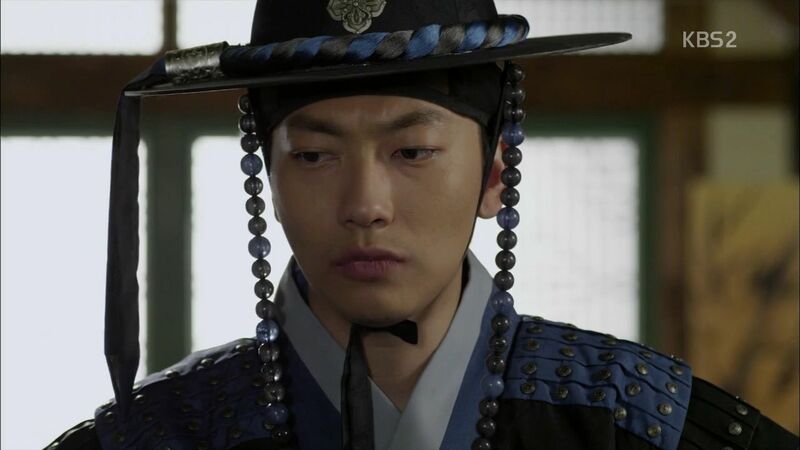 King Gojong refuses to back down and brings up the gunmen who killed his loyal scholars and the loyal commander he made a traitor. Since then he decided not to live as a puppet anymore. He tells Leader Kim to go well and dismisses him. 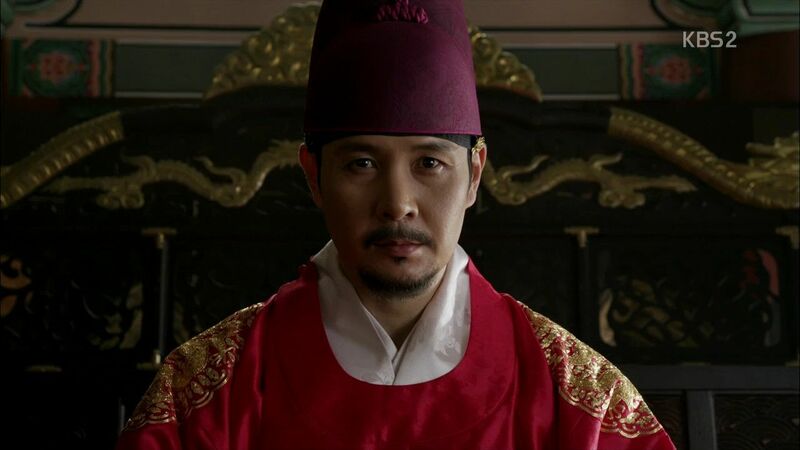 Leader Kim tells Minister Kim and Merchant Choi that the King is refusing to stop the proposal and they need to plan carefully their next steps. Ho Kyung comes clean to Minister Jung that he’s the illegitimate son of the powerful Left Minister Kim and asks for the chance to tell Soo In himself. Minister Jung thanks him for sharing this secret with him. Soo In goes to convince Yoon Kang to change his mind but he refuses and tells her to leave. Soo In admits she doesn’t feel confident she could do it which is why she wanted to practice in advance. She doesn’t want to be the reason this deal is scuttled and asks for the chance to do the demonstration tomorrow. She bows low to Yoon Kang and once again he can’t stay mean to her and agrees to let her do the test since it’s bound to fail anyways. Yoon Kang heads to his secret chamber behind the bookshelf where his gunman secret identity is stashed. He changes into his outfit and leaves with his gun and a stash of bullets. 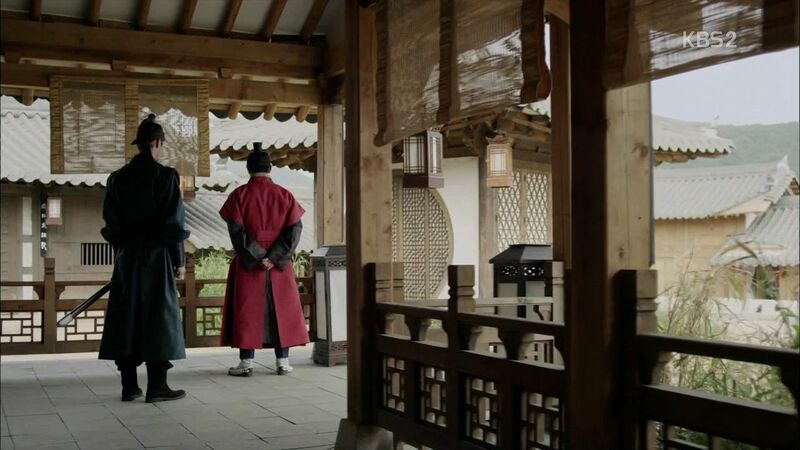 Yoon Kang sneaks into Merchant Choi’s residence and quickly dispatches a few guards. 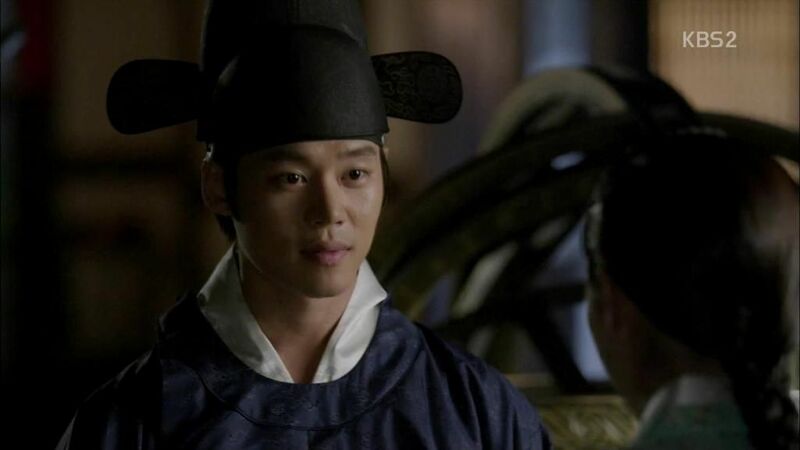 He arrives at the slave quarters but Yeon Ha is not there since Merchant Choi has her preparing ink for his writing. 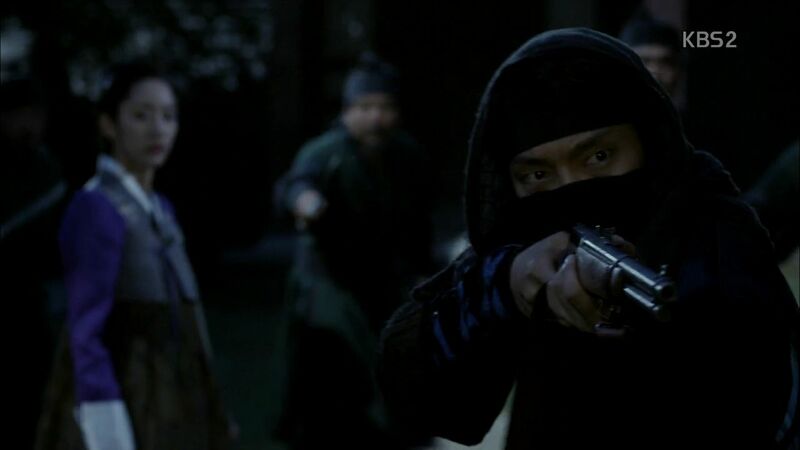 Yoon Kang finds himself quickly surrounded by all the guards with swords while he points his shotgun at them. One guard rushes Yoon Kang and he shoots him before starting to fight in gun-to-sword combat with the occasional shot ringing out. The fight movies through one room and then out into another courtyard. 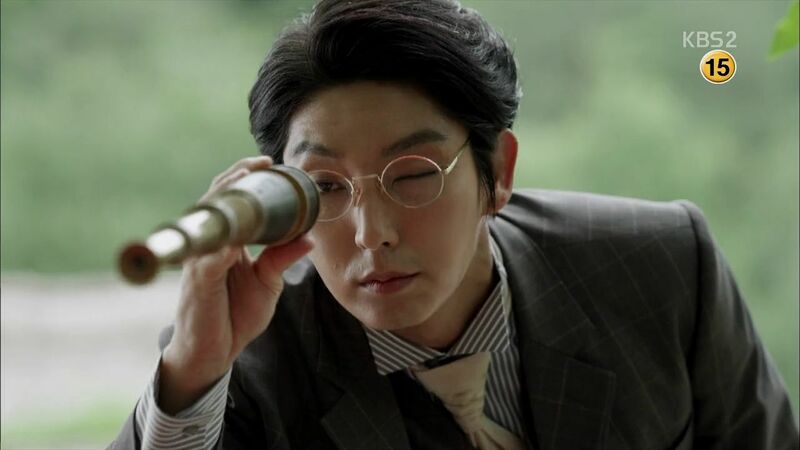 A sniper is on the rooftop ready to shoot Yoon Kang when Hye Won walks out and into the line of sight so the sniper lowers his rifle. Yoon Kang tries to leave but Merchant Choi comes out so Yoon Kang points his gun at Hye Won. Merchant Choi warns that Yoon Kang is dead if she’s harmed but Hye Won tells her dad not to worry because she senses he doesn’t want to harm her. 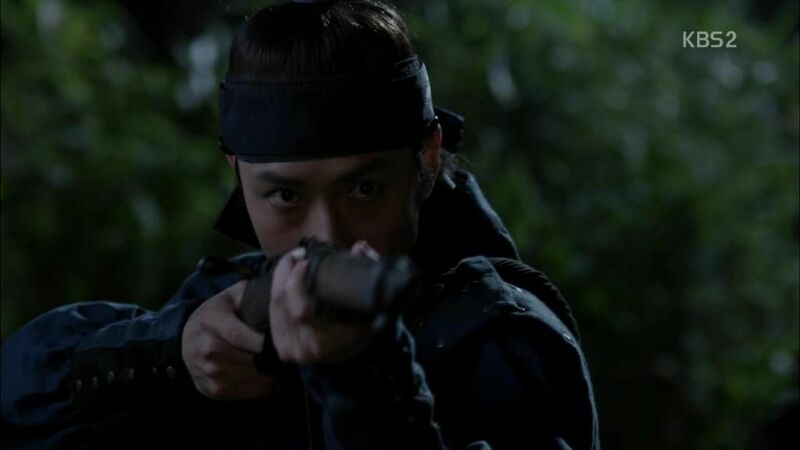 Hye Won offers to create a path for Yoon Kang and he follows behind her with his gun trained on her head. Hye Won opens the door for Yoon Kang and tells the guards not to follow her. Hye Won leads Yoon Kang out of the residence until they are alone in the street. 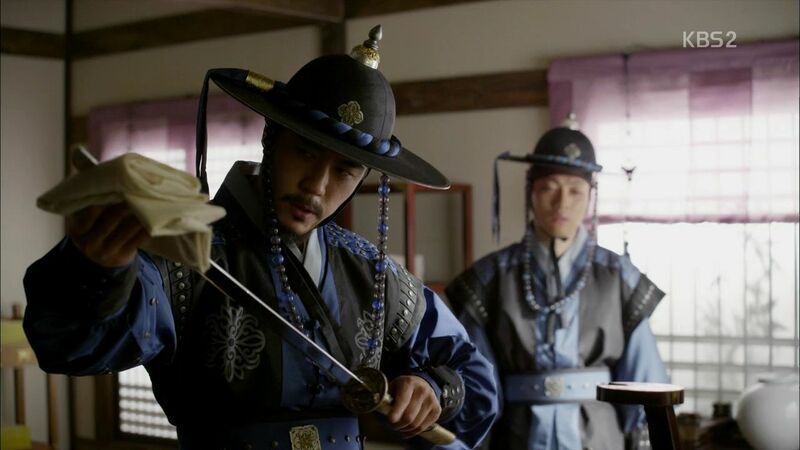 Yoon Kang checks to make sure the coast is clear before lowering his gun. Hye Won asks who he is and why he entered their residence but Yoon Kang leaves without answering her questions. He pauses to nod a silent thank you to her before leaving. 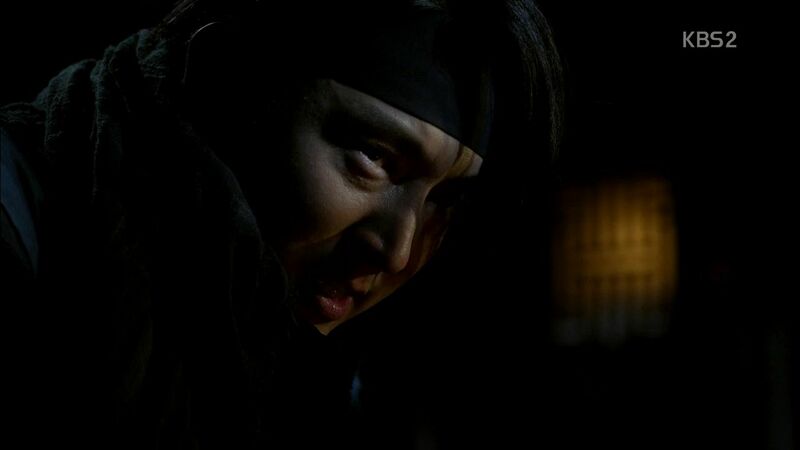 Yoon Kang goes back to his secret lair furious that he couldn’t save Yeon Ha. Hye Won asks her dad what he knows about the gunman but Merchant Choi feigns ignorance and claims he will investigate. Hye Won asks when her dad’s right hand man learned to shoot a gun and it was the latest model as well. Merchant Choi explains that he bought it from the Japanese embassy and the guy learned only recently. Hye Won brings up how Yeon Ha is now in their residence, the very Yeon Ha that Soo In has been desperately trying to find. Merchant Choi lies that he wanted to help and found Yeon Ha but didn’t tell Soo In so she’s not distracted before tomorrow’s explosion test. 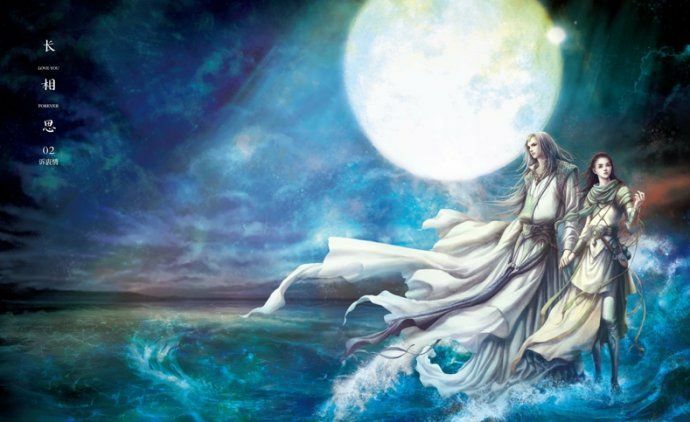 Merchant Choi claims that maybe they need to forever keep the secret of having found Yeon Ha. The businessman from today wants Yeon Ha and he has an explosives expert so they could exchange Yeon Ha for that explosives expert. Hye Won is horrified at the prospect but Merchant Choi says everything comes down to the test tomorrow. Yoon Kang walks to the test site with Merchant Choi and acts surprised when he hears that a gunman attacked his residence last night and took Hye Won hostage. Yoon Kang wonders why Merchant Choi has so many enemies and Merchant Choi thinks it’s usually a misunderstanding. 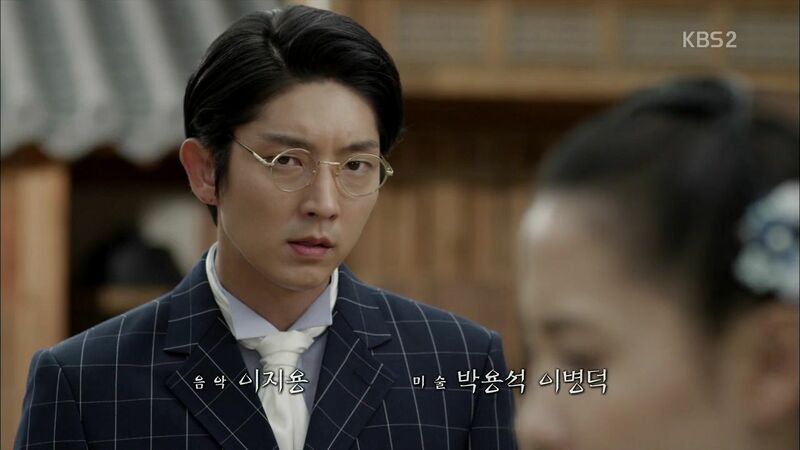 Like the man that Hanjo resembles, Park Yoon Kang, who holds Merchant Choi responsible for the death of his father. Yoon Kang points out Park Yoon Kang is dead so he doesn’t need to worry. 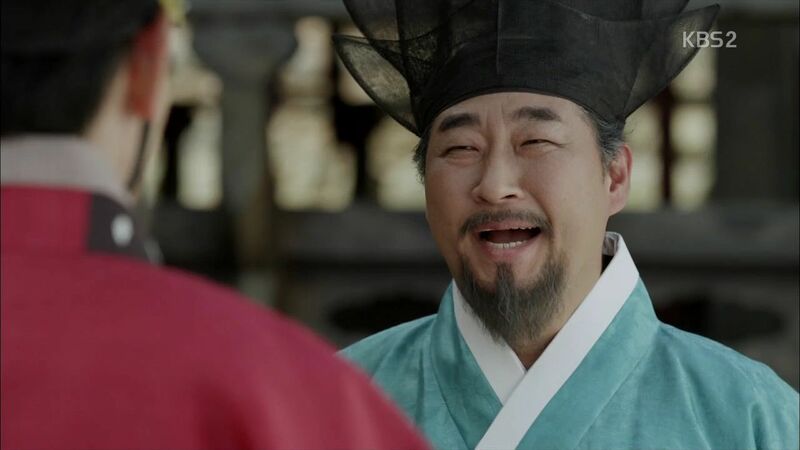 Merchant Choi says even if he’s not dead, he’ll be dead if he ever sets foot back on Joseon since he’s a wanted man. Yoon Kang points his finger gun at Merchant Choi and tells him to be careful since he might be the one who ends up dead. Yoon Kang walks closer to the explosion site to get a closer view and Hye Won joins him. Soo In lights the spark and everyone plugs their ears anxiously for the explosion but nothing goes off. Soo In is sure there is a problem with the fire line otherwise it would have gone off. She walks over to the hole to look when smoke starts to come out of it. Yoon Kang notices it’s about to explode and rushes forward to pull Soo In away to safety. Soo In and Yoon Kang are unharmed by the explosion which is too small to actually blow anything up. Yoon Kang thanks Merchant Choi for the fireworks display and declares that the deal is off with the Kyung Gi Merchant Group. Soo In apologizes to Hye Won but she thanks Soo In for trying her best. She asks Soo In to thank Yoon Kang when she sees him in the future since he tried to save her life even if the explosion didn’t happen. Soo In asks Hye Won what will happen now since the deal was so important to them. Hye Won doesn’t know either and she looks over at her dad pacing. 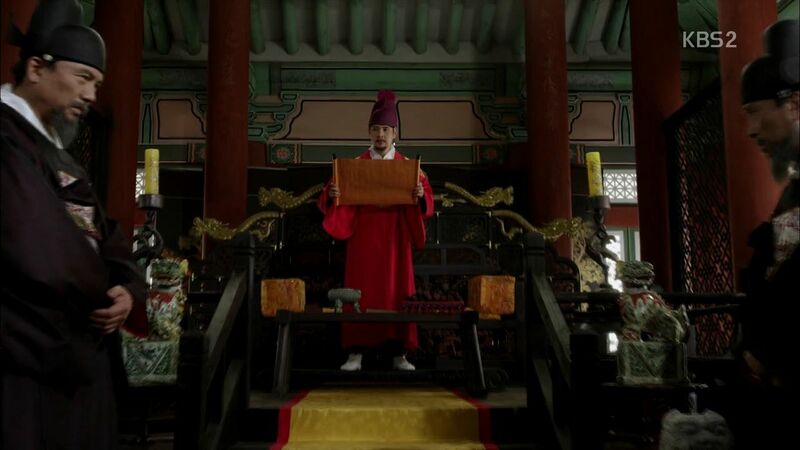 King Gojong reads the official proclamation creating the new administrative department for the advancement of Joseon and the reform ministers that he assigned to the new posts all thank him while the existing faction looks on sullenly. 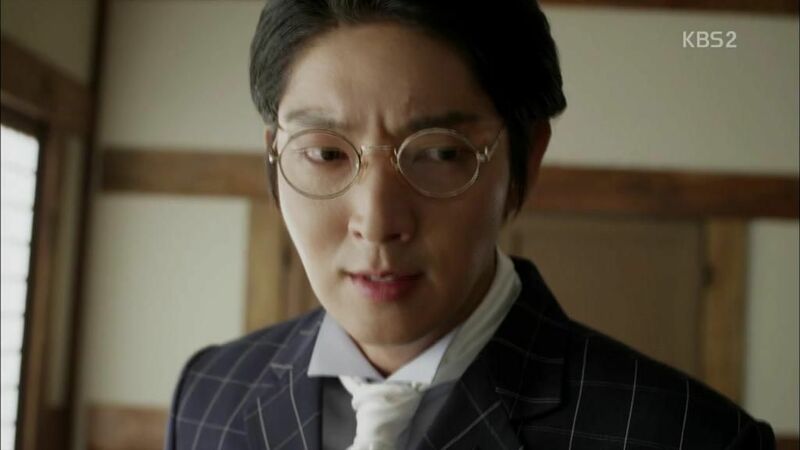 Minister Kim sees the new department officials walking past and his smirk turns to shock when he sees his son Ho Kyung wearing ministerial garb and walking with the group. Minister Kim summons Ho Kyung home to chew him out for working for the new department which directly opposes him. 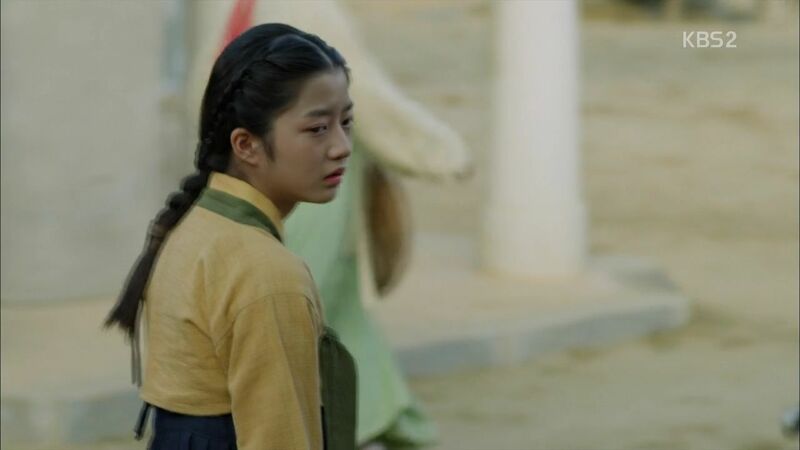 Ho Kyung doesn’t know what happened to change his father, the father who once removed his mother’s slave badge and raised Ho Kyung like a real son in educating him. Ho Kyung doesn’t know why his father is so afraid of having the world find out Ho Kyung is his son. He assures his dad that he will never let people know that the Left Minister is his father, nor will his father be a source of pride for him. Hye Won lets her father take Yeon Ha away to trade her to the sleazy businessman in exchange for his explosives expert. Okay Hye Won, you’ve just crossed the line. Yeon Ha pleads with Hye Won to help her but Hye Won just apologizes. Merchant Choi asks for a meeting with Yoon Kang to ask for a second chance because he now has the capable explosives expert. He will go see the businessman who likes girls and bring back the explosives expert. Yoon Kang sees Yeon Ha walking behind Merchant Choi’s departing group and Yeon Ha turns back and sees Yoon Kang looking at her. Merchant Choi delivers Yeon Ha to the minister as a birthday present for his upcoming present. The minister laughs and orders Yeon Ha taken away to her room. He then hands over the explosives expert to Merchant Choi. 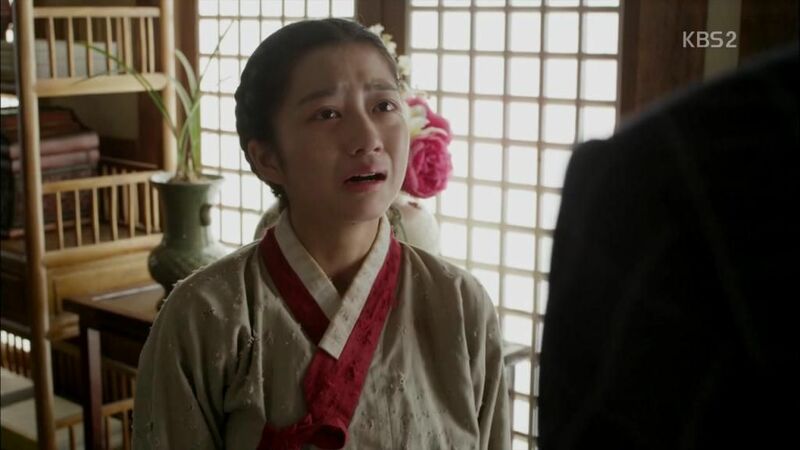 Yeon Ha hears from inside the room the orders that she won’t be here to be a serving girl and is to be washed and dressed prettily because she will be summoned shortly. 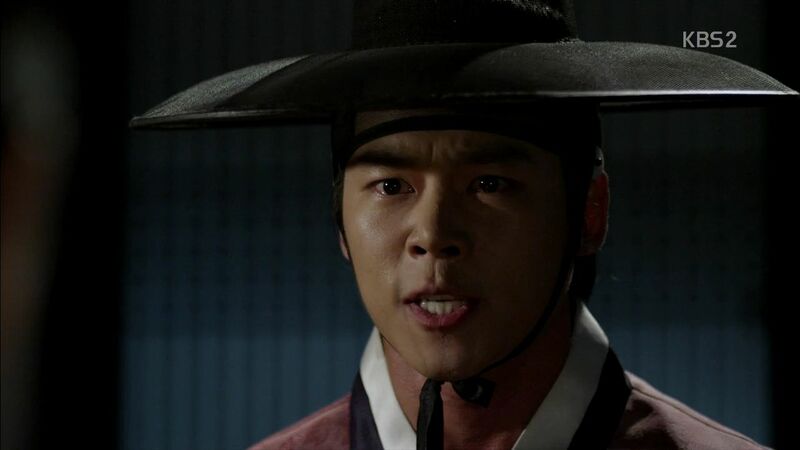 Merchant Choi knows Yoon Kang will be ready to take action since he won’t allow his sister to be so mistreated. He orders his man to be ready in case the other gunman all fail to take him out. Yoon Kang sneaks to the residence and finds it swarming with gunman but uses a cat decoy to avoid detection. Soo In is a bundle of frustration from the explosion not going off to Hanjo making fun of her to letting Hye Won down. She feels completely useless but her maid says Soo In managed to set off fireworks and that’s as good as her skill is currently. Ho Kyung find Soo In deep in thought trying to figure out why her explosion didn’t go off. She vows to find the reason and her persistence makes Ho Kyung happy since it’s been a long time since he’s seen her like this again. Soo In admires his ministerial robes and compliments him on looking the part. 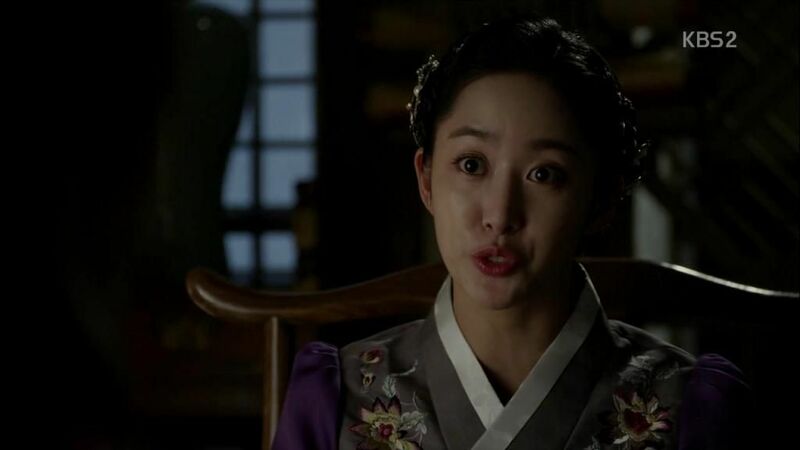 She excuses herself to go read more books and continue her investigation while Ho Kyung watches her leave with a sigh. Yoon Kang tells Sang Choo that the businessman who now has Yeon Ha has the place crawling with gunmen, which further confirms that the Kyung Gi Merchant Group has been involved in training gunmen like his dad suspected. Yoon Kang and Sang Choo find Je Mi teaching Kanemaru some Joseon words and he’s keen to learn so that he’s not mute around here anymore. Yoon Kang teases that they can’t call Kanemaru names anymore. Sang Choo yells at Je Mi for doing more than her work in teaching Kanemaru but she really wants to teach him since she’s just a slave and it’s the first time she gets to teach something. Sang Choo can’t withstand her pleading so allows her to keep teaching but orders her to do it very very slowly. Soo In hears from Hye Won that a real explosives expert has been located and she congratulates Hye Won who says nothing to Soo In about having found and traded Yeon Ha for said explosives expert. Merchant Choi wonders why Soo In came by and Hye Won knows he is asking about Yeon Ha. Hye Won knows that Soo In will refuse to talk with her once she finds out about what they did to Yeon Ha. She also tells her dad that one day he may lose her, too. Has he forgotten that Hye Won used to be a slave? She was once beaten and raped by her master and accused by his mistress of trying to seduce him. Knowing that happened to her, he shouldn’t have sent Yeon Ha way like that in front of Hye Won. Merchant Choi orders her to stop talking and Hye Won walks away. Officer Moon asks for an update from Officer Han in his investigation into the background of the dead gunman or the missing Son. Officer Han has no leads and Officer Moon asks why he’s taken on another job in overseeing the Japanese businessmen. Officer Han claims he can take on more tasks. Officer Han reports for duty to the Yamamoto merchant group offices and announces he’s in charge of supervising them. He and Yoon Kang share a smile before going inside to discuss how Yeon Ha is currently in the residence of the sleazy minister. Merchant Kim brings the new explosives expert by and Yoon Kang agrees the deal is back on. He leads the explosives export to the warehouse with Merchant Choi pleased that his deal is back. Soo In and her maid are peeking at the warehouse to see if they can figure out what went wrong with her explosives test. She sees Yoon Kang leading the new explosives expert inside. Yoon Kang asks him why the earlier test just let off a lot of smoke and no explosion and hears that Soo In didn’t use enough of a certain material. 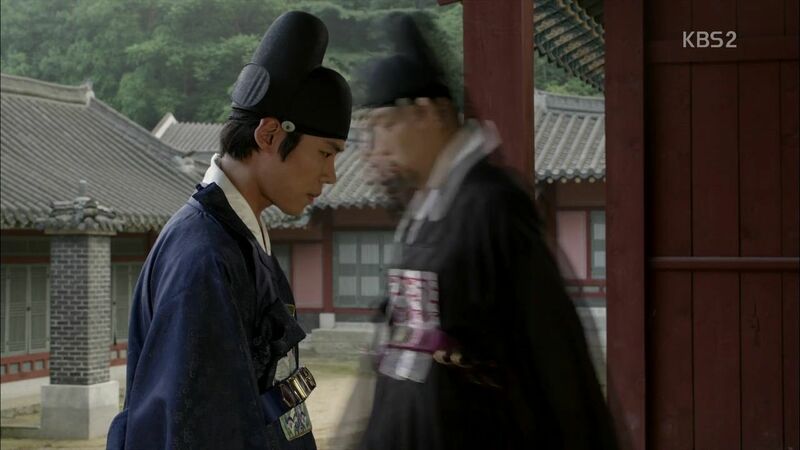 Yoon Kang walks outside and spots Soo In’s spyglass reflecting from the distance. She’s watching the explosives expert mix a batch and trying to memorize how many spoonfuls of each material he’s using. 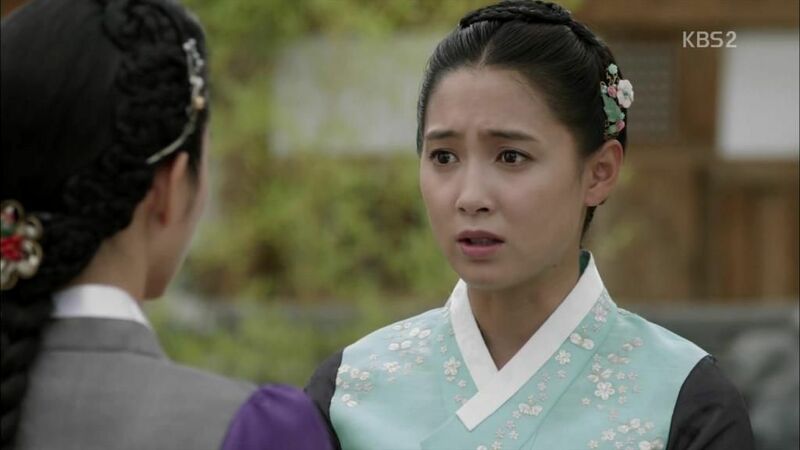 Suddenly Yoon Kang walks right into her spyglass and causes Soo In to freak out while her maid runs off. He asks why she’s here and Soo In admits she’s not an expert but she wants to find out why her attempt failed. Soo In explains it’s just her personality, she’s the type of person who reads one book and follows up by another. If she sees something she wants to touch it. Soo In thanks Yoon Kang for trying to save her life at the explosion test. Yoon Kang gets an idea and asks Soo In to do something secretly for him. If she does it, he’ll let her learn from the explosives expert. Soo In finds out Yoon Kang wants just smoke bombs which she can totally make. She wonders why he needs it and Yoon Kang can’t tell her but assures her that he needs it for something important. He thanks her for this and takes Soo In to the warehouse to grab the materials. Soo In assembles a smoke bomb for Yoon Kang and he gets ready for his plan. 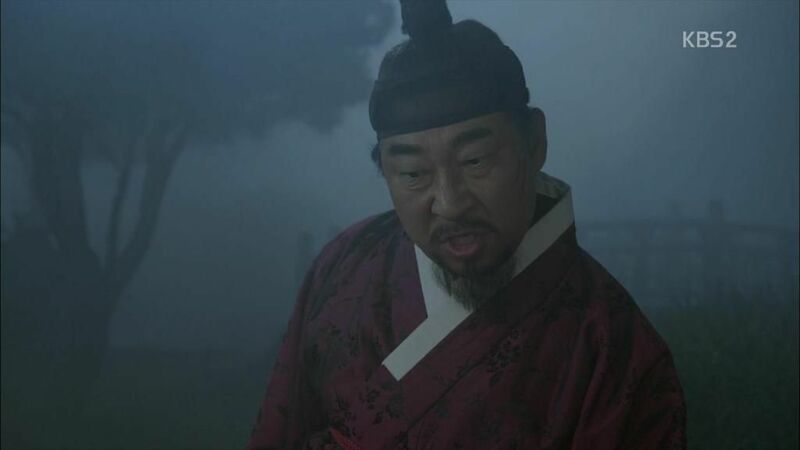 Yoon Kang has Sang Choo sneak in with the merchants delivering birthday present to the sleazy lord, at which time he can light the smoke bomb and quickly leave with everyone else running away. The minister hurries to take advantage of Yeon Ha but starts by making conversation with her. He’s surprised her name Yeon Ha is so pretty since it’s not a slave name. Yeon Ha explains that her dad is Commander Park and says he didn’t commit treason. The minister agrees and says his only crime was being too loyal to the King. He makes his move on Yeon Ha and pulls her close to embrace her but she struggles and slaps him. Before he can hurt her back the smoke bomb goes off and Yeon Ha tries to run away. In the mad scramble and with all the smoke, the gunmen in the residence can’t see very well and Yoon Kang rides his horse up to the residence and climbs over the roof to get inside. Yeon Ha is trying to run away but the minister finds her and is about to slash her with a sword for daring to strike him when he’s hit by a gunshot. Yeon Ha is frightened of the masked gunman who shot the minister until he calls out her name and lowers his face mask to reveal he’s Yoon Kang. The siblings tearfully embrace and Yoon Kang makes sure she’s okay. He notices a gunman perched on the roof taking aim at them and moves Yeon Ha out of harms way before pulling his gun and firing back. Watching JG takes me through the emotional spectrum in each episode with a smoothness of execution that never distracts from the moment. One minute I’m crying for Yoon Kang being forced to cruelly reject Yeon Ha lest his cover be blown, the next moment I’m laughing at Soo In trying to built a giant bomb fail. The story has creatively kept all the leads in close proximity with each other so there is always a reason to interact, and with that reason more tension builds. Soo In’s brief stint as a explosives expert was a bit far-fetched initially but really came together in this episode when her failure only gave Yoon Kang more reason to keep her around him in an even better capacity. She can’t explode stuff yet but her failed fireworks display becomes the basis to build useful smoke bombs for Yoon Kang’s night time rescue of Yeon Ha. That makes Soo In useful to Yoon Kang beyond just being an important emotional connection to his past. They are also such kindred spirits that you can see him frustrated with her at times as well as touched by her sincerity. She tries hard because she cares, whereas Hye Won is good at getting things done but it’s always with a calculating purpose. I appreciate that Hye Won was not happy with her dad trading Yeon Ha like an object in exchange for an explosives expert, but she still went along with it and that’s what makes Hye Won destined to a sad fate at the end. She’s already like her dad in seeing the big picture and willing to do dirty deeds to get there. That’s going to hurt more and more people around her, just like her dad has committed a myriad of murder and mayhem all in the name of whatever it is that is driving him. I hope Merchant Choi has more reason for being Leader Kim’s lackey beyond simply the accumulation of wealth as a businessman. 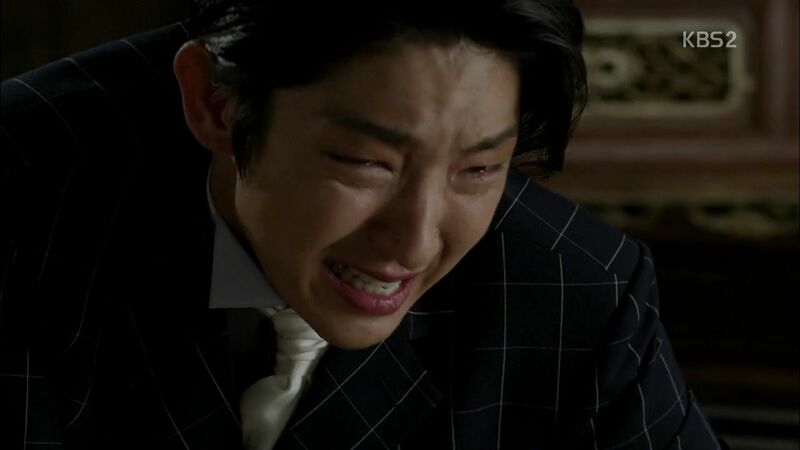 Yoon Kang was really pulled through the ringer in this episode because of Yeon Ha and I sometimes think this drama keeps making Yoon Kang hurt and cry because Lee Jun Ki angsts and cries so beautifully. I’m so glad the lecherous minister didn’t manage to lay his dirty paws on Yeon Ha and I sort of hope Yoon Kang didn’t deliver a fatal gunshot. 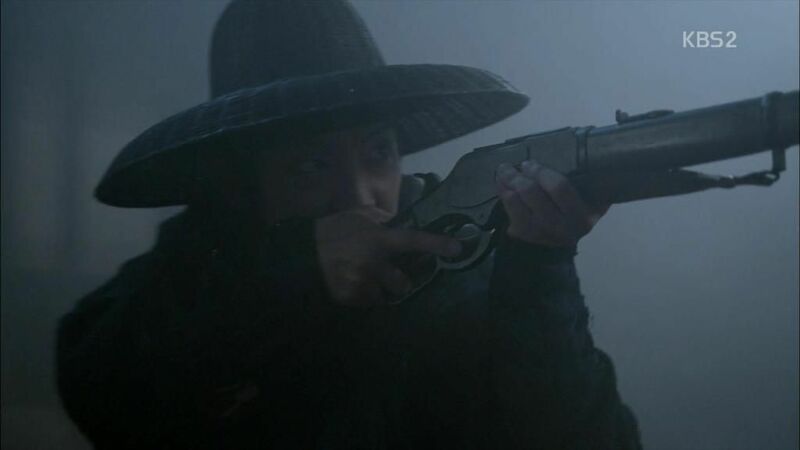 I still want Yoon Kang to use the gun as a weapon for protection and to save the people he cares about, but I don’t want him to blithely kill using it even if it’s can be justified. Sometimes a hero who loses everything comes back completely angry and broken but I don’t see that in Yoon Kang. Whenever he’s around Soo In and even Officer Han, there is still the same old smile and a sliver of happiness that peeks through. That shows me Yoon Kang hasn’t succumbed to fate’s cruel hand. I’m guessing his revenge plot is probably going to get a major overhaul once he realizes that killing the person who fired the fatal gunshot that killed his father isn’t anywhere near the tip of the iceberg of those responsible for his family’s plight. 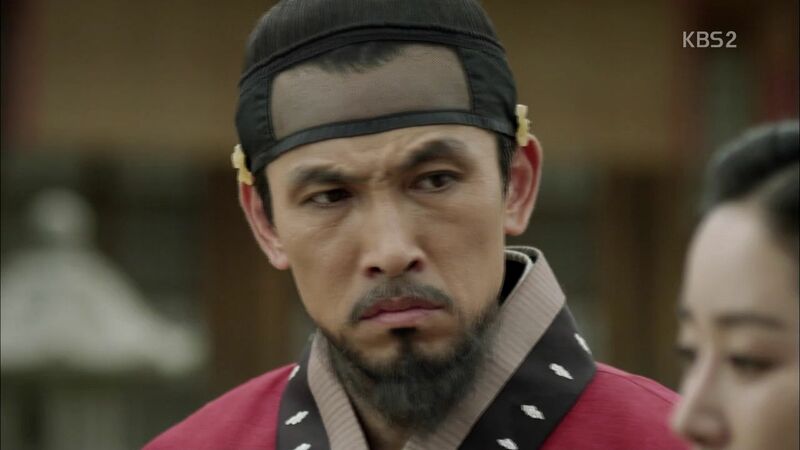 Soo In’s dad’s ascension to running the new department also doesn’t bode well for his future well-being, which means Soo In might be headed towards a fugitive fate of her own one day if the baddies succeed yet again in crippling the King’s second attempt at reform. The last attempt was pretty toothless with scholars making public orations for change, this time the King has actually done something substantive but the opposition won’t fold that easily. It’s going to be thrilling to watch what comes next because this drama keeps me dancing happily on my toes in anticipation. I am riding the same roller coaster of feelings in this one. I yelped when he hit poor little sister, still stings, and cried when he was alone to think and rethink about it. I am so glad he got to hold her in the end. OY! The little bomb-maker that could is awesome. I loved how she was doing quick calculations with the recipee. Who can figure out 73% that quickly? Great moment and reveal with daughter reminding her father that SHE had been raped. Ugh, too real for me. What those women had to endure is hard for my 21st century brain to accept. It’s getting better and better. I hope it stays this way till the end. 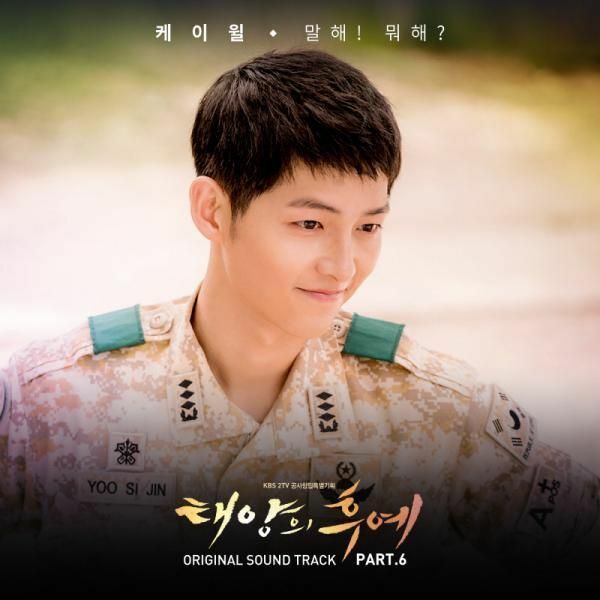 I love Joseon Gunman! 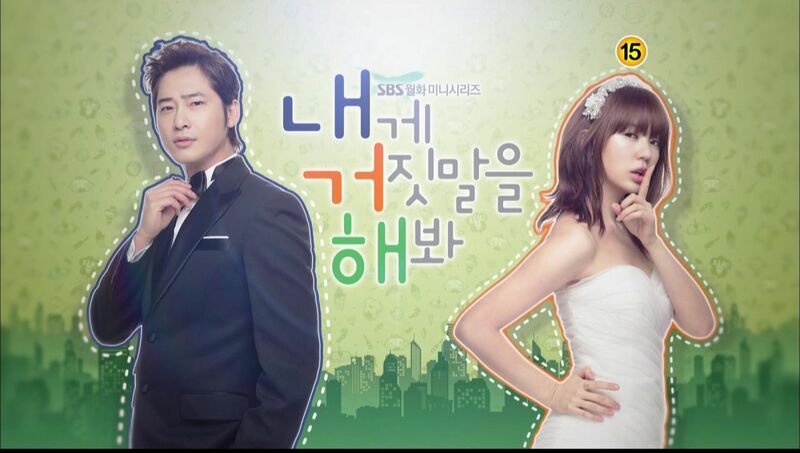 It has been awhile since I couldn’t wait for the next episode of a drama! 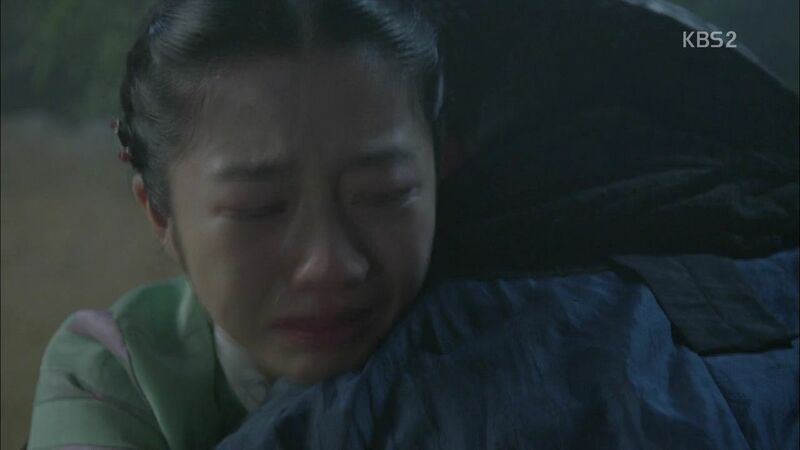 Am I so relieved when Yoon Kang could finally hug his sister and reveal to her that he was indeed her `orabeoni’. What an awesome episode – heart-stopping action, heart-wrenching reconciliation, light/memorable conversations! I look forward to the reunion of Yoon Kang and Soo In. It was mentioned in one of the earlier episodes the reason why Merchant Choi became Leader Kim’s lackey. I believe it was revealed by Yoon Kang’s father whe he was investigating on the gunman. Merchant Choi sort of owes Leader Kim his life, well his family’s life actually. I think that’s the reason why his loyalty towards him goes beyond reason. Thanks for the recap! 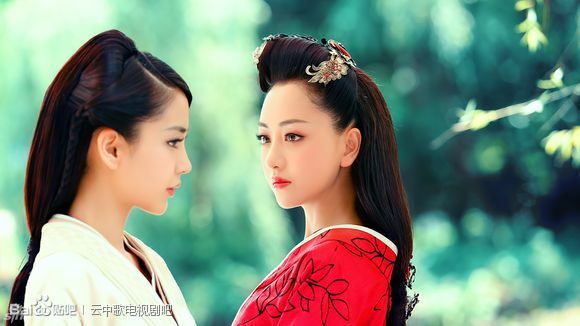 🙂 I super love this drama ^^ one of the best historical dramas I’ve watched so far. 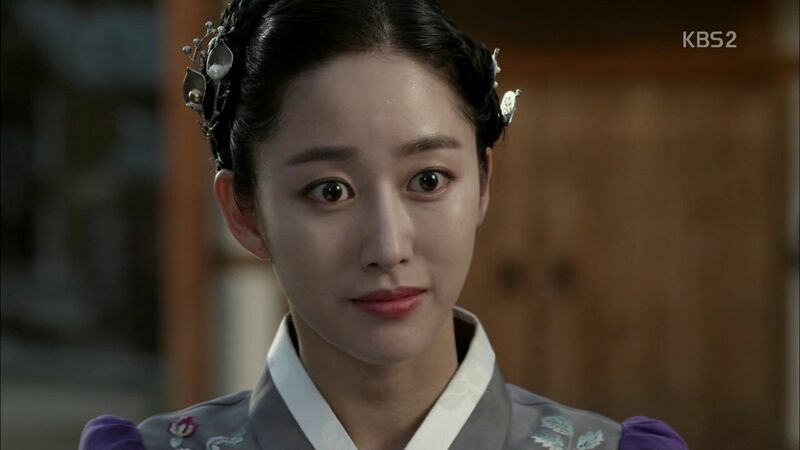 I’m not judging Hye Won for reluctantly agreeing to the plan to send Yeon Ha to the old lech – she is literally the only person who points out how wrong it was, and the revelation that she had been a slave was a stunning one. She made a wrong choice, but the fact is she’s aware of it and it weighs very heavily on her conscience – she never lacked for depth, but I think this character is not going to be so easily written off as ‘bad’ in the future just because of this. Also, people forget to take into account on how Hye Won personally doesn’t have emotional ties with the sister, therefore when you factor in her pragmatic personality, she naturally won’t oppose her father’s decisions with actions. 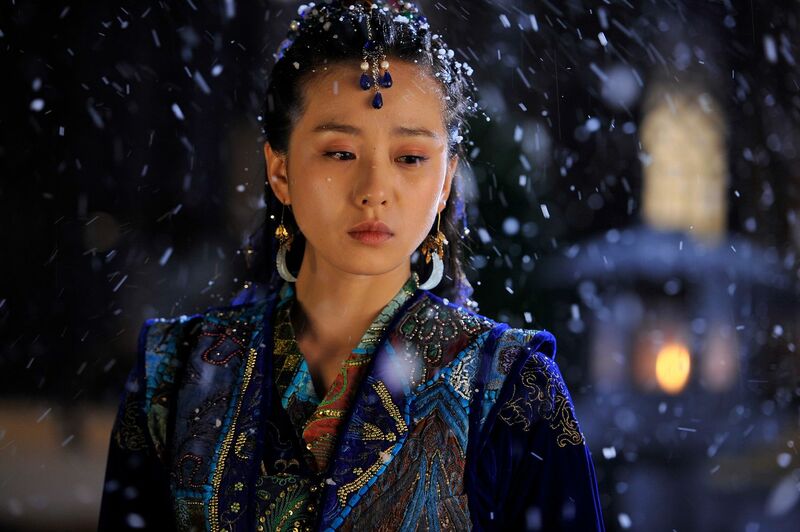 Despite everything been said and been criticize about Soo In character, actually I like her a lots. Well…this is the first time a Saegeuk female that makin a ‘Bom’….use a binacular to try learning or let say maybe her descendant later will be a Corporates Spy ? he he he….so luuuuv it. 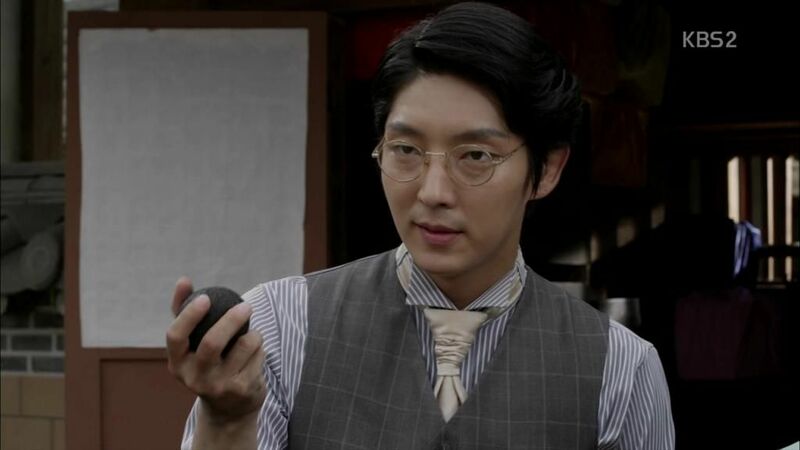 Also the ‘Bat Cave ‘….qe qe qe, Lee Joon Gi love to have his own special ‘Cave’ like in Iljimae. well darn, I’m caught up already. I wanted to bank some eps but I can’t wait. LJK is so good, I can’t say it often enough. I am also impressed with Soon In. She is so curious and always wanted to learn new things. I just hope she doesn’t reveal that she made the smoke bomb to Hyewon.